Audio recordings of the traditions of crofters, farm workers and fishermen, in English and Gaelic, along with some Scots, were put online by the Digital Archive of Scottish Gaelic (DASG), University of Glasgow in August. 33 audio files are being published from the Mòthan Archive, all gathered in North and South Uist, Scalpay, Harris, Barra, Berneray and Benbecula by American Tracy Chipman during the 1990s and early 2000s. These were recorded in English and Gaelic (and will be fully transcribed or subtitled in due course). The audio tapes range from fishing terminology to songs and poems as well as stories about everything from courting to traditional ailment cures to fairy stories and premonitions. 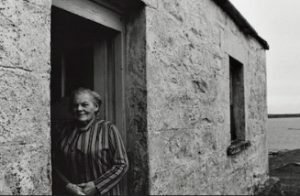 For example, Mary MacLean from Grimsay explains customs such as whitewashing, ceilidhing, Christmas, thatching, picnics, fishing, collecting cockles, peat-cutting, cutting seaweed, spinning, blessing the weaving loom and boats, courting and marriage. Mary tells stories on the evil eye, premonitions, foretelling, the kidnapping of a witch, ghosts, shape-shifting, ghosts, the Kraken and seal people in 1997. She also tells a version of ‘The Shieling of the One Night”.